Arenal Volcano, in Spanish Volcán Arenal, is an active andesitic stratovolcano in north-western Costa Rica around 90 km northwest of San José, in the province of Alajuela, canton of San Carlos, and district of La Fortuna Costa Rica. The Arenal volcano measures at least 1,633 metres (5,358 ft) high.It is conically shaped with a crater 140 metres (460 ft) in diameter. 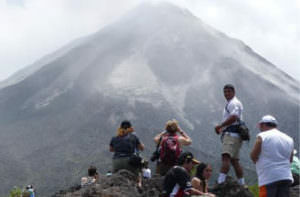 Geologically, Arenal is considered a young volcano and it is estimated to be less than 7,500 years old. It is also known as “Pan de Azúcar”, “Canaste”, “Volcan Costa Rica”, “Volcan Río Frío” or “Guatusos Peak”. The volcano was dormant for hundreds of years and exhibited a single crater at its summit, with minor fumaroles activity, covered by dense vegetation. 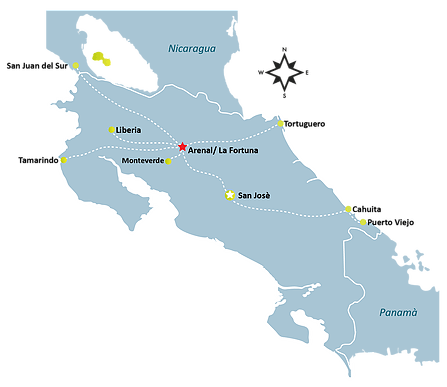 In 1968 it erupted unexpectedly, destroying the small town of Tabacón. Due to the eruption three more craters were created on the western flanks but only one of them still exists today. 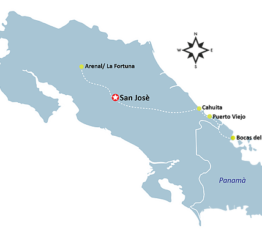 Since October 2010, Arenal has become dormant, with no explosions since December 2010. 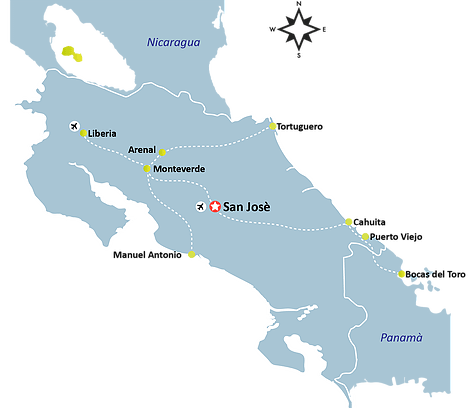 Although the main attraction is the Arenal Volcano; the area offers much more. Next to the volcano is the Arenal Volcano National Park with a wide variety of flora and fauna and a great view of the volcano. 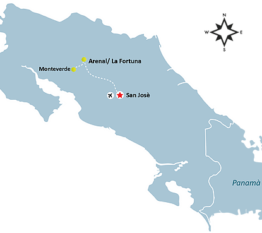 Furthermore there is La Fortuna Costa Rica, which is the nearest town to the Arenal Volcano. In addition, there are several other activities and interesting places that can be visited in the area. Arenal Volcano & Hotsprings Tour!